A fiction writer groping her way into self-publishing. These things always sound easier than they turn out to be. 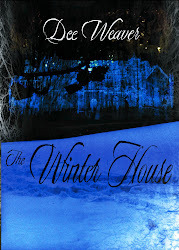 The book – THE WINTER HOUSE – is written, edited, polished to perfection. I got an agent on the strength of it, and a great many publishers said they liked it… just not enough to take a risk on it. Earlier this year a series of events prompted me to drag it out from under the proverbial bed and try self-publishing. Just whack it on Kindle, I thought. Sounds easy, doesn’t it. And it is, on the whole. It’s what it leads on to that becomes complicated and frustrating and scary. Now I've had to buy a Kindle – ok, I didn’t actually have to, but I've always hankered after one, so this was as good an excuse as any. But that’s not the complicated bit. I'm looking at Smashwords; this will be a platform to get my novel into all sorts of US outlets and onto other reading device thingies. This is where it gets complicated and, two thirds of the way through, I discovered I need an ISBN. This wasn’t necessary for Kindle so I had decided to not bother, but now I've had to spend half a morning finding out how to get one – or, rather, ten, which is the minimum package they sell. Now I have to wait ten days for them to arrive. In the meantime I can finalise the cover and get to grips with this blog. More later, including a little backstory. Well this is no good, is it. Dee Weaver is Northumbrian, Aquarian, Pagan. Her current passions (apart from reading and writing, obviously) are ghosts, English history, rock music, cats, Formula 1, and Jacobean embroidery. In the summer of 2001 she started learning the craft of novel writing. Drawing on her varied experiences in veterinary medicine, interior design, and the occult, the result is THE WINTER HOUSE, a paranormal romance set in Lancashire, in the North West of England. She now lives just over the Pennines, in Yorkshire with her partner and one feisty cat. Until recently she shared a house with two of the original Victorian residents. It was an amicable arrangement, and she was sorry to leave them behind when she moved out.